I have one of these in my home in Pennsylvania and now that I have a second home in Florida I wanted one here too. It makes items accessible to everyone at the table. No more reaching over the table. I need a lazy susan with the rail on the sides. this will tidy up my table. Makes it easy for everyone at the table. I have 1 and I love it .I got this for my daughter in law for the holidays. I purchased this for my kitchen island to hold all the things we use every day. Most of all, I loved the look of it. I have received many compliments on the style. I have had it over two years and have not put any special coating on it and it still looks great. This second one is for my dining room. I am going to use this to pot flowers on. 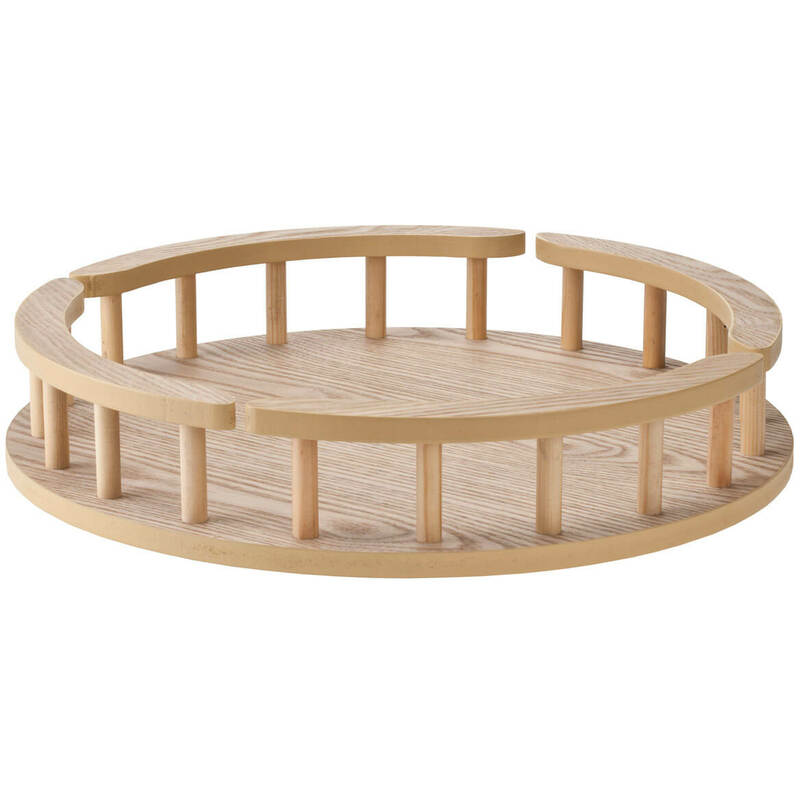 Mainly because this is the only lazy Susan that I've seen with a rail around the outside edge which keeps things contained & from falling off. Been looking for one and this is it! Because I like the looks of this. 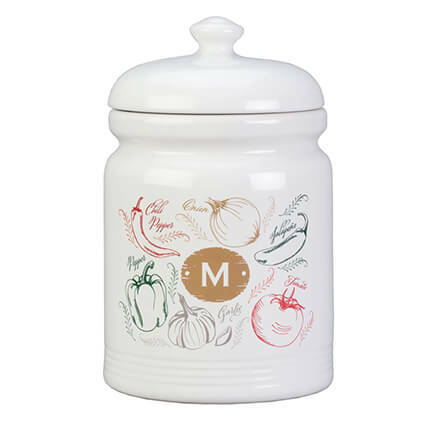 For easy access to condiments, etc. at the dinner table. My sister has one and it is good and practical. I liked the looks of the lazy Susan and the price was good. A family member had one of these when I was a kid. Thought I would try it to see if I could keep the table in our eat-in kitchen neater. Dining table items clutter the table. Want to gather them into one place. i've wanted one for a long time and this is the first one i have seen in a while. We need more space on our kitchen table. I wanted one for my table so it would be easier to reach condiments. i really needed this type to sit on my cabinet. Great for a kitchen table, this one is for my sisters birthday. Plus the cat likes to spin it around! My friend has one and I love hers, and after i saw it i decided I would like to have one. Very niece design. 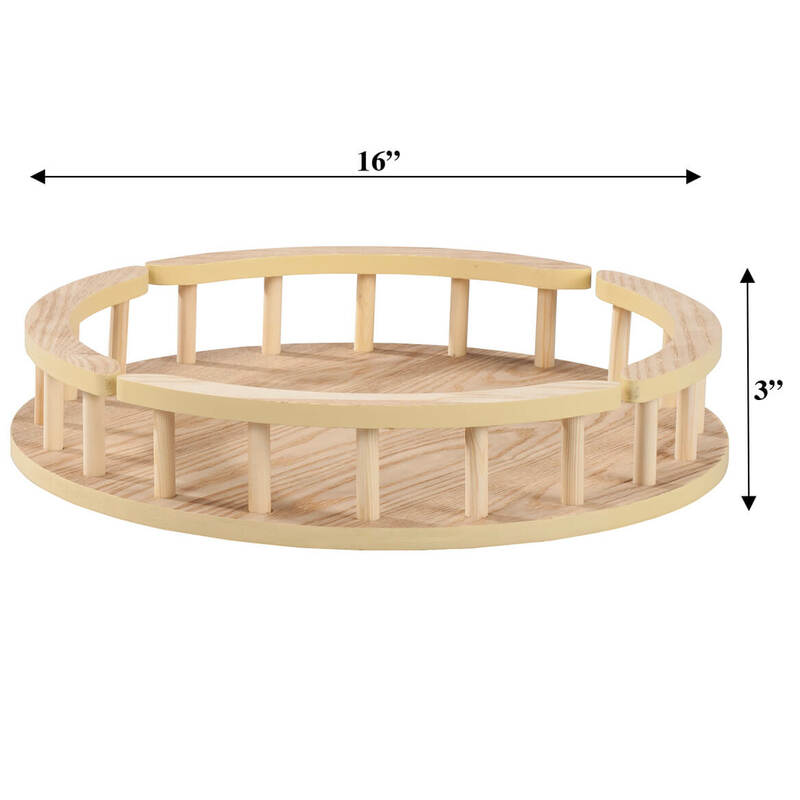 I love lazy Susan’s and will look nice on my wood table. 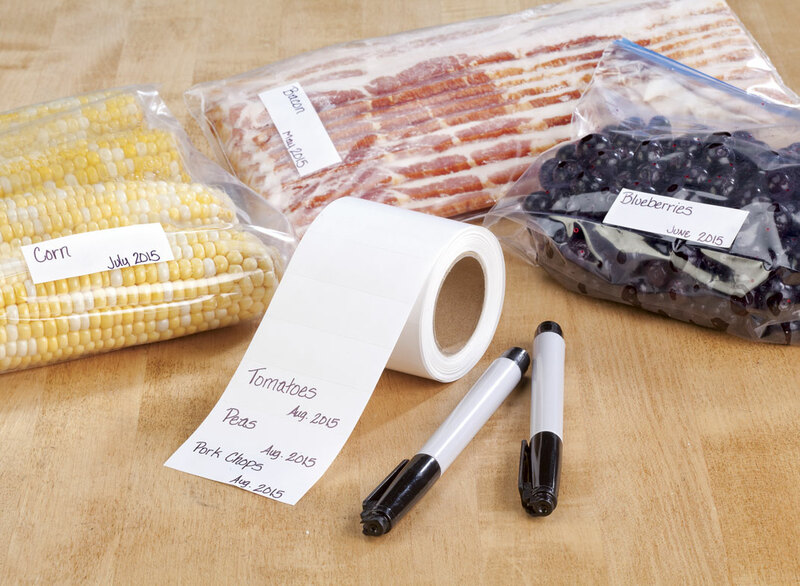 Looks cute to keep things on the table organized and together. 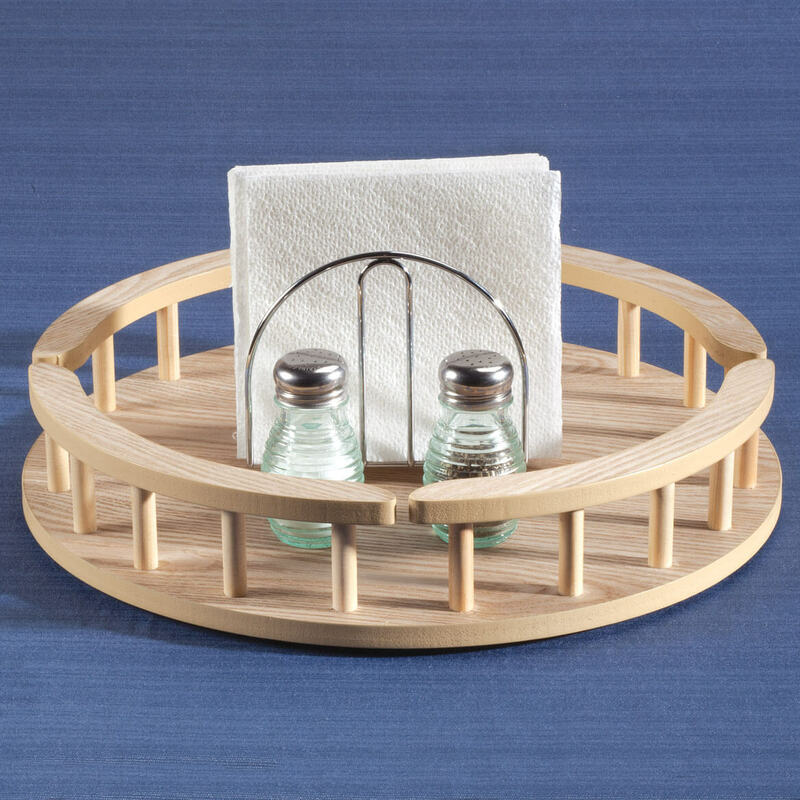 We wanted the lazy susan to hold the salt pepper napkins etc. Also for the various vitamins that we take. We are senior citizens. Much to our surprise we began to get compliments from all ages. We are ordering these two for Christmas presents for a couple of them that are very dear to us. 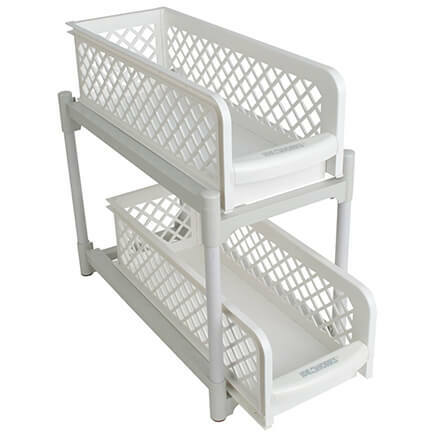 Need something to carry food from camper to table outside that food won't easily fall off of. I need to get some organization and this item seems to solve my problem. Because my mom is elderly and condiments in the middle of the table is easier for her. Salt, Pepper, PB, Honey, ect... Just remolded the kitchen and wanted a new one. Looks to be large enough for what we need. Is the lazy susan unfinished? BEST ANSWER: Thank you for your question. The Lazy Susan does not have a finish on it. We hope this information will be of help to you. No, it is finished, with a satin type of finish. Is the wood bare, allowing to use a wood stain on it? Yes, the wood is bare. You can stain or paint it. does this come in any other color wood? BEST ANSWER: Thank you for your question. 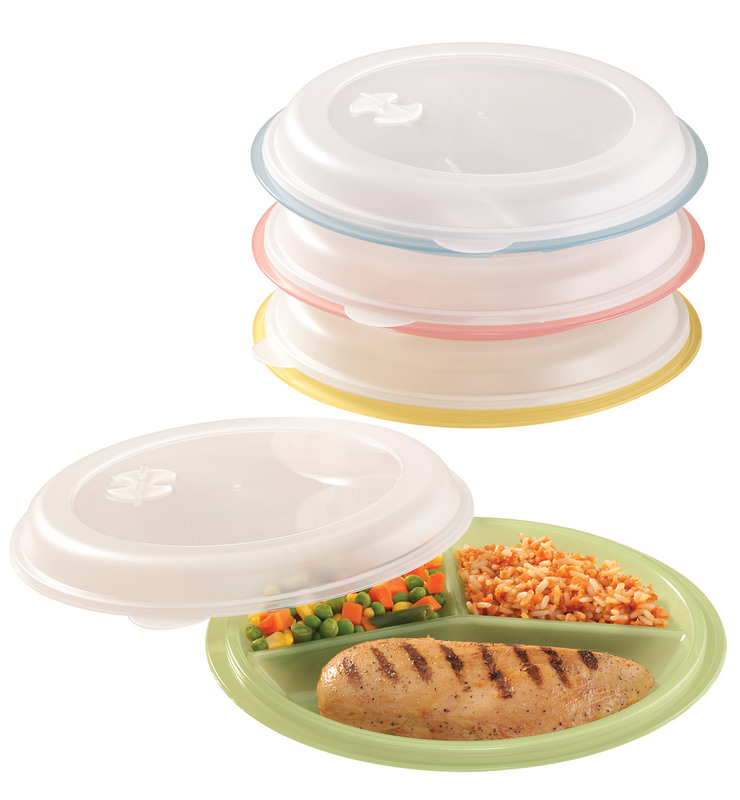 The Lazy Susan comes only in the color shown. We hope this information will be of help to you. BEST ANSWER: Thank you for your question. 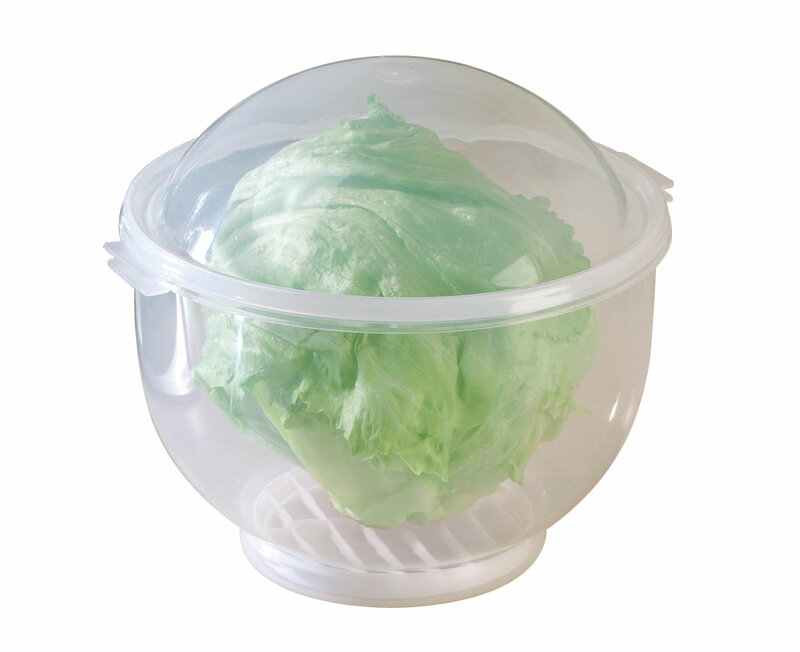 We take actual photos of the item, this item is light in color. We hope this information will be of help to you. do you make 36inches rounds? BEST ANSWER: Thank you for your question. 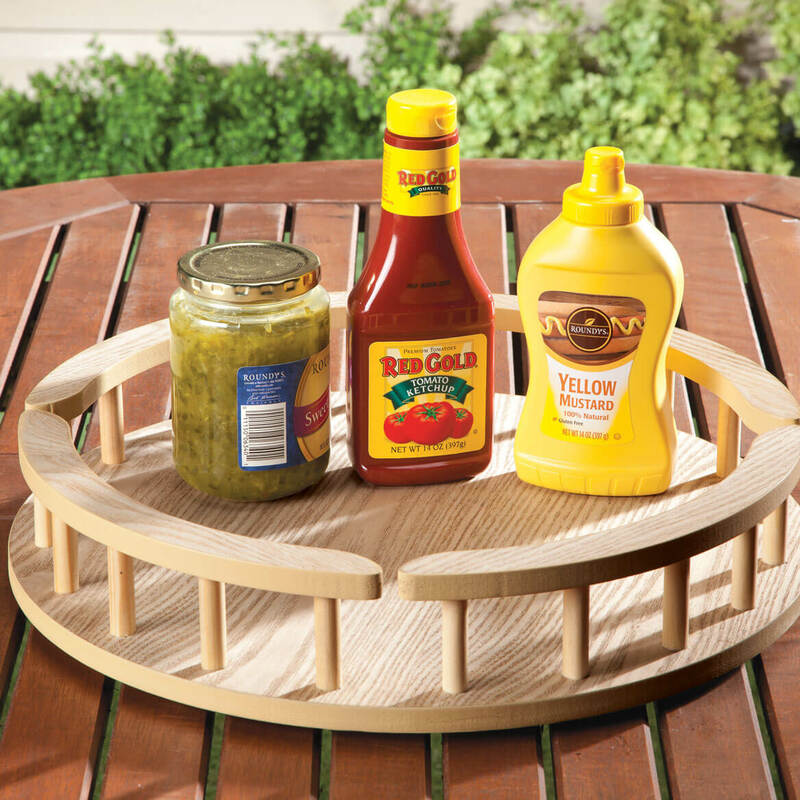 This is the only size of Lazy Susan we currently carry. We apologize for any inconvenience caused.